This morning, Microsoft announced a restructuring of the company that will see it split into two divisions dedicated to services and devices. A number of executives have seen role shifts as part of the change, with Julie Larson-Green heading up the hardware division and Terry Myerson taking charge of Windows. Microsoft aims to enhance collaboration within its walls with the change, focusing the company on "a single strategy" while working together and improving "capability in all disciplines." We are rallying behind a single strategy as one company — not a collection of divisional strategies. Although we will deliver multiple devices and services to execute and monetize the strategy, the single core strategy will drive us to set shared goals for everything we do. We will see our product line holistically, not as a set of islands. A similar strategy was employed by Apple last year, with a significant management restructuring that saw Jony Ive take over leadership of the Human Interface teams and Eddy Cue take over Maps and Siri, two products that Apple had been highly criticized for. With the new management system, Apple has previewed iOS 7 and OS X Mavericks and is said to have a number of products in the works, including the iPhone 5S, a low-cost iPhone, a 5th generation iPad, and an iWatch. While Microsoft's Xbox 360 console has historically fared well in the market, its Surface Tablets have not been as well received. The company sold just over a million Surface RT tablets in the December quarter, while Apple sold over 22 million tablets. Lately, Microsoft has taken to pitting Windows 8 tablets against Apple's iPad in a series of advertisements. Microsoft has seen more success with its Windows Phone, which now represents 3.2 percent of the smartphone OS market, coming in third after Android and iOS. There are a number of impressive Windows phones on the market as companies continue to embrace the platform. Nokia today unveiled its newest flagship Windows phone, the Lumia 1020, which sports an impressive 41-megapixel camera, much like the PureView 808 first revealed last year. With the Lumia, Nokia aims to compete with other popular camera smartphones like Samsung's Galaxy S4 and the iPhone 5, both of which have come to largely replace traditional point-and-shoot cameras. 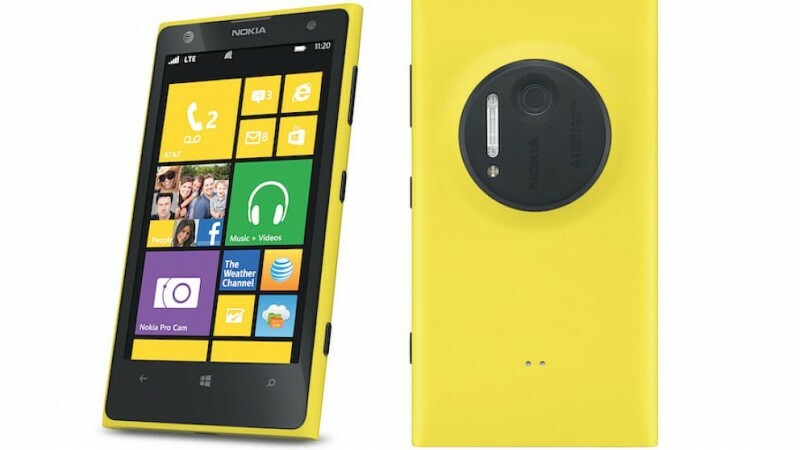 The Lumia 1020 comes equipped with optical image stabilization, a six component Zeiss lens and a xenon flash. Nokia plans to release an app that will allow users to manually adjust several aspects of the camera. With oversampling, 41-megapixels allows the Lumia 1020 to take crisp, noiseless photos. Apple is said to be including several new camera enhancements in its own next generation iPhone, like a 12-megapixel sensor, improved flash capabilities with a dual LED flash, improved low light shooting, and a possible slow motion video mode. Microsoft hopes that its new focus on unity may help both its Surface tablets and Windows phones like the Lumia 1020 draw some market share away from Apple and Android as the company works to build a single integrated experience much like Apple has done. Windows Phone 8 UI is refreshing. It tried to be something entirely new and should be commended. I really wish Apple could speed up the miniaturization of camera parts so we could enjoy super high quality photos without sacrificing the industrial beauty of the iPhone. With a sensor that small, 41MP will produce extremely noisy photos. They have the logic wrong on this, unless we're talking about daylight shots. I have no idea why you would want 41MP crammed onto a tiny sensor like that. Why don't they concentrate on making a decent camera rather than make something that 'sounds' good. Cameras such as these will be the death if point-and-shoot cameras. If Ballmer is still in charge, nothing has changed. Isn't an "app" a program? It's short form for application and applications are programs. There's nothing wrong with what he said.